Although George Bush in a crotch harnass has completely ruined the phrase Mission Accomplished for me—forever—that is the major message of today’s Sabian Symbol at Aquarius 20°: A Large White Dove Bearing A Message, the answer of spiritual agencies to thorough, sustained and victorious individual efforts. The first thing that comes to mind are the myriad jubilant live or social media expressions of sobriety I see friends or “friends” celebrating because they all carry the message of miraculous payoff, one way or another. (Though the sign of Cancer has naught to do with this image, it and its astrological fourth house are steeped in flood myths—where that dove makes a final appearance—which I have always posited were symbolic of recovery, promise and deliverance.) I think the word sustained in the keynote, yes, along with thorough is what equals the victory; and though it’s easy to deride ourselves for where we haven’t been thorough or sustained, any one of us falling off of some wagon or other all the time no matter what wagons we remain on, it is more challenging to see that very wagon we consistently ride. 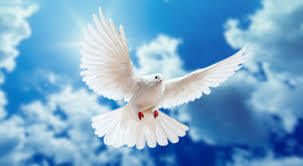 So today is a good day to ask yourself: What have you been vigilant about—not hyper-vigilant mind you, because that typically ends in tears—and wherefore have you signalled to the Universe that you’re doing your part and, at least, meeting it 50/50 so it can then reach out a hand to you (cue Dove)? Typically, it is out of crisis, a crux, or crossroads (Gemini duality) that we take a turn toward some kind of recovery (the following sign of Cancer), that’s just one of the metaphysical truths expressed by one tiny slice of circular patterning found int he unfathomably wise Zodiac—it really is a system, more on that later. * While, in a twelve-fold system of which, as you may know I’m a strong enforcer, this Aquarian oracle would be ruled by Scorpio. Let’s mediatate on that (think fast, Quinn); aha! I’ve got it: Just as the previous Libra-ruled Aquarian symbol showed the need for Libran equipoise in meeting the challenge of karmic effects in the form of fires ranging out of control, drawing upon body, mind and spirit to meet what might be the greatest, but perhaps last vestiges, of karmic challenges, putting said fires out with calm and grace and total acceptance, whilst drawing on full metaphysical and indeed archetypal strength: we may have indeed arrived and a place of balanced karma—the Scales of Libra being a measurement thereof—with nothing now blocking us, energetically, from the receipt of divine assistance and acknowledgement. We have done our (conscious) work and met the Universe half way, open to receive and accept. Scorpio (subconsious) which represents the mysterious, occult realm can therefore send us a sign, a message, that a certain connection is being made in the profound innerworld for which it stands. As above so below: such that the dove bearing it’s message—of peace? olive branch?—is coming from deep inside ourselves for is that not where the soul resides, just as it does so, most macrocosmically, with the divine collective? Is that pathway to the Aquarian mass spiritual consciousness not had through some internal inside-out wormhole within our selves where inner and outer space are indistinguishable? We are delivered in the Cancerian flood-myth model of the Dove; but here we take it up (or down) a notch. The olive branch or message the Dove carries is that of inner peace, of accord, or reconciliation within ourselves, the coming together of those heretofore conflicted, in crisis, parts of ourselves. Dane Rudhyar labels this image Certification. And it reminds me of the Scarecrow, Tin Man and Lion (all symbols of our metaphyscial levels of being) all being awarded certificate commemorations for the workings of their mind, heart and nerve/muscle; as every step we taking in our spiritual journey really is a recovery, a victory over “forces of inertia or destruction.” Wherever we overcome, the divine presence makes itself known. And it tells us that we are seen and that we are not alone. The true desire of Scorpio is that of the divine presence yearning for itself in us and in removing karmic blocks to that true yearning our desire can merge, becoming one with our destiny. Wow, today’s writing felt good and flowy. Namaste.